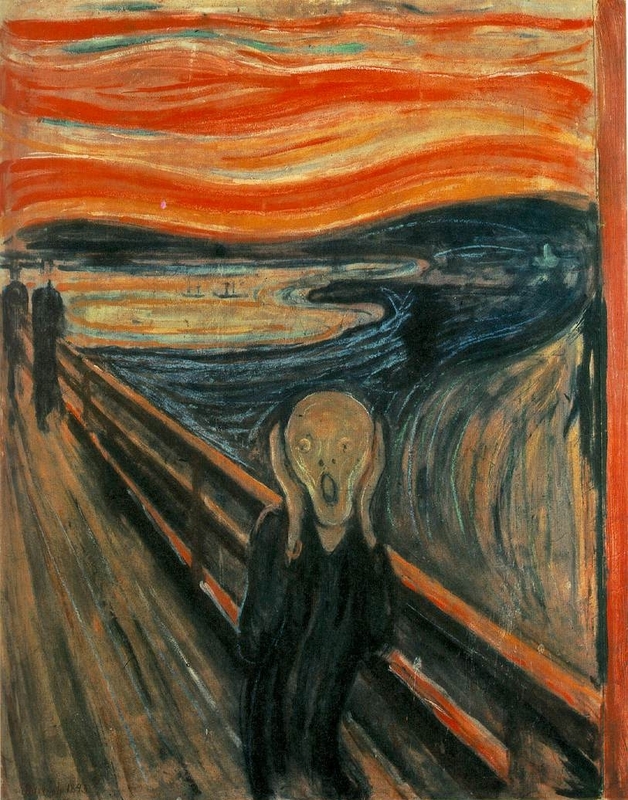 >I’ve just got back from Norway after a week working on a project about Edvard Munch, the guy who painted The Scream. I’ve been working with Dr. Steffen Krüger on an article which brings together Munch, cartoons and modern architecture. When I wasn’t wandering around museums or trying to find the right words at Steffen’s desk, I had a bit of free time and decided to try cross-country skiing. Now, I used to be a mountain-boarder and I’ve tried snowboarding and sandboarding too. (Sandboarding down giant dunes might be the best thing ever). But I’ve never, ever, in my life, been on skis before. Everything I ever learned about skiing came from the James Bond films – especially the one where he skis off the edge of a cliff. I didn’t quite make it into James Bond’s league. I think I fell over eight hundred times in eight kilometres. (He only fell once, plus it was deliberate and he had a parachute). (This was a particularly good fall). The whole thing was great fun, but seriously embarrassing. I was being taught to ski by a woman who once got told that she skied like a penguin. She was cool, though, and penguins are too, so really it’s all my fault. Also, she’s an illustrator who I’m planning a new children’s book with, so I’m not about to complain about her ski teaching! When I wasn’t falling on my face or writing about art at midnight, I also put in a short entry for Hilobrow’s ‘Golden Age Superhumans’ micro-fiction competition. It’s about 200 words, and probably only funny for grown-ups old enough to remember Simon and Garfunkel…You can find it here. 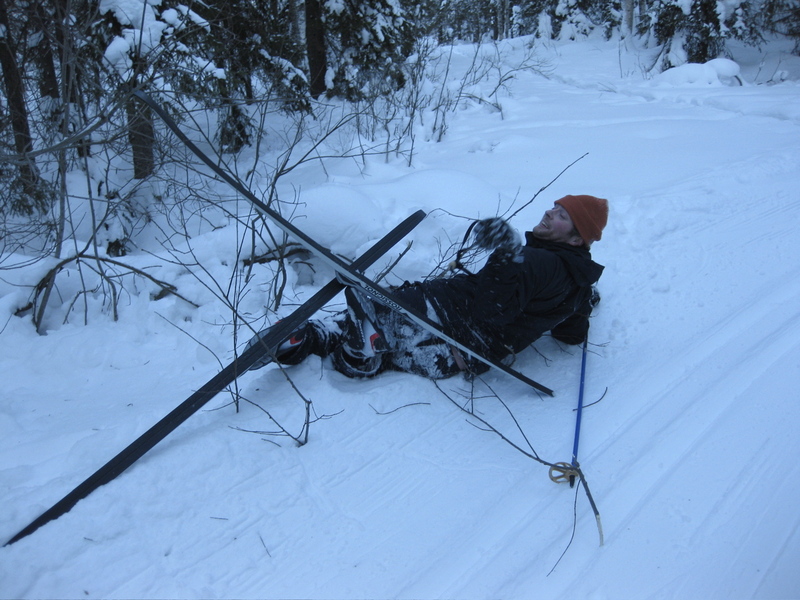 There are photos of my ski shame – they will be on this site soon. The sad truth is I can’t wait to get back on the skis when I get the chance. Perhaps this will result in a comedy video. I will share it if it happens.